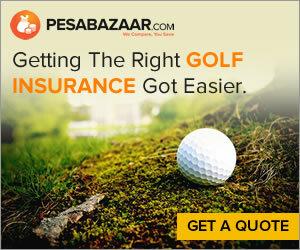 PESABAZAAR.com is Kenya's premier insurance aggregator that provides online insurance comparison services. We are committed to finding you the right products that fit your needs at the best price available in the market. Started by two young talented and ambitious gentlemen, PESABAZAAR.com is committed to providing accurate and efficient service which empowers the public to find and purchase the best insurance cover. We update the website with the latest insurance products so that we remain the best among all Kenyan insurance comparison companies. Customer care and sales advisors on hand to assist customers by phone, email, live chat and in person six days a week. They will answer any questions/queries or assist you to complete your purchase quickly and conveniently. Before the introduction of PESABAZAAR.com, the market was heavily fragmented, the only way to obtain accurate quotes for motor vehicle, medical, life insurance and others was through brokers, agents and insurance companies. Customers had to go through a time consuming process of calling agents, brokers and companies, filling forms in order to get quotations and purchase/ their insurance cover. Buying insurance is now easy and convenient, all at the touch of your fingertips. Get your cover online anytime anywhere in Kenya by simply logging on from your mobile, tablet or desktop. Get quotes from leading providers, compare benefits and limits of cover, save time and money, buy your cover online. Get the best service from our online client management system, your questions, queries and claims all using our automated system. Internet users are our primary target market, we also cater for the general public, our insurance experts can assist you over the phone or in person in major cities in Kenya. We do not charge the consumer any fee for using our services or to make purchases online. We do not add any fee or commission on products that you compare and purchase online. 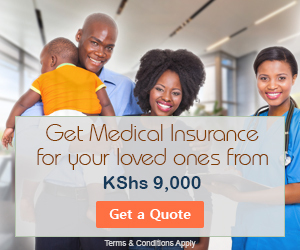 We partner with the leading, most trusted and financially secure insurance companies in Kenya. We source for a wide range of products and services to offer to our clients the most innovative products and competitive prices in the market. Our in house team of insurance experts negotiates with our insurance partners for the best insurance cover and limits on their products so that consumers have access to the most reliable and tailored products to cover their assets, health and lives. To provide a best in-class online service for education, comparison, facilitation and purchase of financial products starting in Kenya with personal, commercial and corporate insurance. We aim to empower the public to make informed choices for financial products and services at their convenience. We value our customers and treat them with the utmost quality of service. We work with our customers every step of the way to make sure they get the value they need from a wide selection of products and services. Our customers' interests are at the forefront of everything that we do. We pride ourselves in abiding by the laws of the state and industry regulation and we act to give value and service to our customers. Our raison d'etre is to bring financial products and services to the public 24/7 through the internet, telephone and our experienced customer advisors. We provide a trusted and independent service that simplifies comparison and purchase of financial products and services in the markets we serve. We provide a best in-class experience online and offline to our customers with our experienced and service oriented team. We will not be satisfied until every aspect of our clients expectations have been met and exceeded.